When it comes to gift giving, sometimes the most thoughtful gifts are the ones we make ourselves. Putting forth effort into a homemade Christmas gift not only shows the recipient how much you value them, but it can also be pretty affordable, especially if you're faced with a lot of people to shop for and not a lot of money to do it with. I know what you're thinking: painted pasta necklaces, makeshift scrapbooks and other Art Attack–inspired crafts gone wrong. To be completely honest, I've always thought of DIY gifts as a bit naff—but having trawled Pinterest recently, I've found that there's actually plenty of inspiration out there for gifts that are easy to re-create and that look rather chic, too. Some even verge on that store-bought aesthetic. From incredible crystal soaps to soothing face mists, keep scrolling to see five of the best homemade Christmas gifts you'll actually want to make. These colourful "crystals" are in fact pebbles of soap made by mixing a clear glycerin soap base with soap colourants. Even better, both of these ingredients are available on Amazon. Head to Alanna Hones-Mann's website for the full recipe. Who wouldn't want the gift of a good bath? 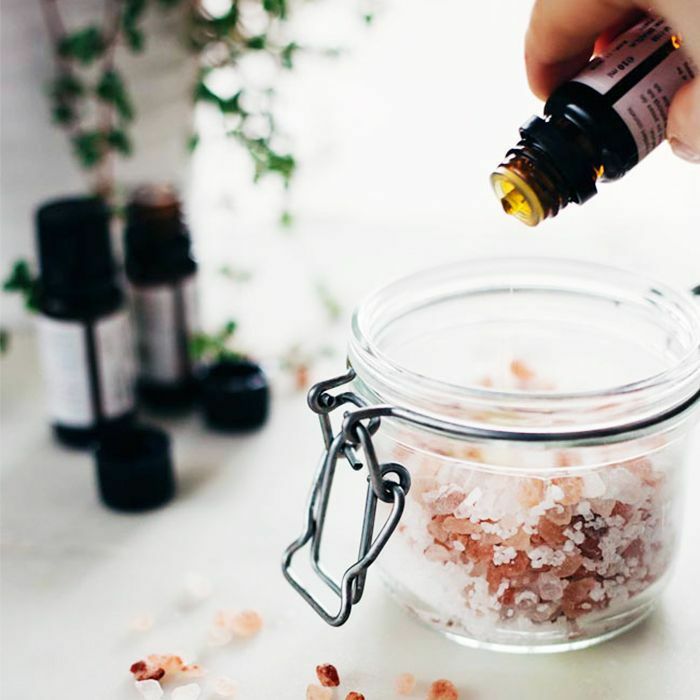 This recipe by Hello Glow mixes Himalayan pink salt (known for its skin-detoxifying properties), with a few drops of essential oils. The mini Kilner jars are also a great way of presenting them. A light face mist is the perfect antidote to the 3 p.m. slump we all experience. With these recipes by Design Love Fest, you can make a bespoke formula suited to the recipient's needs. Know somebody who gets hot and bothered often? Try making them the cooling mist. There's even a bedtime mist recipe for troubled, restless sleepers. The beauty world has gone crazy for Sand + Sky's Purifying Pink Clay Mask (£40)—and we have our own review of it to prove why. But if you fancy trying your hand at making your own, Soap Queen's is the best recipe we've found yet. You'll just need to stock up on pink clay and rose absolute first. There's no better time than winter to fill your house with festive candles. We're loving this simple candle recipe that also comes with printable labels. How helpful. Up next: Your colleagues will love these Secret Santa gift ideas.